Fitchburg, Mass., June 9, 2015—Headwall Photonics, a leading supplier of high performance spectral solutions for industry and the defense community, announced that Tom Crotty, Senior Advisor for Battery Ventures, has been elected to Headwall's Board of Directors. Crotty, a venture capitalist for over 30 years, including a dozen years as Managing Partner of Battery Ventures, has exceptional experience in successfully working with technology growth companies. During his career, Tom has led investments in dozens of early stage companies to position Battery Ventures as one of the industry's premier venture firms. "Tom has a proven ability to assist technology companies with commercializing and exploiting innovative technology," said David Bannon, Headwall's CEO. "I believe that Tom's experience will help to further establish Headwall as a leading spectral instrumentation company with global impact." 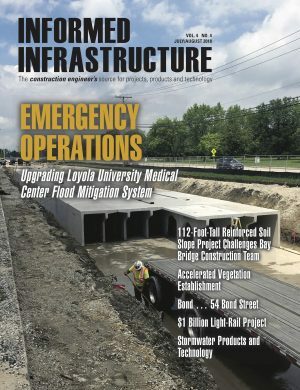 "Headwall has pioneered spectral imaging technology that has the ability to notably impact how people interact with the environment, how companies produce and manufacture product, and offers the medical community advanced techniques for disease detection and diagnosis," said Crotty. "I am excited to join the Headwall Board." Headwall Photonics is the leading designer and manufacturer of imaging spectrometers and spectral instrumentation for industrial, commercial, and government markets. Headwall's high performance spectrometers, and spectral engines have been selected by OEM and end-user customers around the world for use in critical application environments. Headwall enjoys a market leadership position through the design and manufacture of patented spectral instrumentation that is customized for application-specific performance.